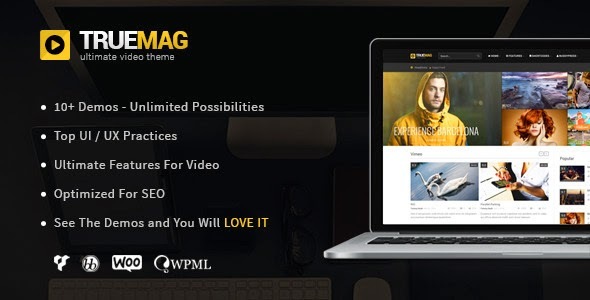 True Mag V4.0.6 WordPress Theme for Video and Magazine | BloggersStand ';-1!=b.indexOf("img.youtube.com")&&(a=' ');d=a+''+p+''+titlex+"
True Mag is an advanced solution for Video hosting websites, Video portfolio and Magazine. We build True Mag with the best practices of UI and UX as well as SEO. This theme will be the perfect choice to deliver your amazing content to viewers. Truemag is trusted by over 2000 video site owners to host ten thousands of videos. We believe this theme is right for any video businesses. 0 Comments on "True Mag V4.0.6 WordPress Theme for Video and Magazine" So Far - Post Yours!